I contemplated starting a blog for a while. After spending quite a bit of time getting to know the blogging world and reading a few religiously (back when I used to bookmark them instead of using Bloglovin....I told you this was a long time ago), I finally decided to give it a go. But then I didn't truly work on it consistently or take it seriously until 2014. Recently I've had a few conversations with people looking to start a blog and seeking advice, so I thought it would be useful to share what I wish I had known when I started blogging. Seriously. I know it's scary and I know you want it to be perfect before you put anything out to the vast internet, but your blog is going to continually evolve so push aside that fear and hit publish. When I started I was constantly tweaking my design (ok, not just tweaking, but overhauling), trying to come up with the perfect editorial calendar, and researching nonstop. Instead, I should have been experimenting and trying and getting the show on the road. Realistically, when you first start out not that many people will be looking at your blog anyway so that doesn't need to be a concern. This is something I've been slacking with over the past few months (cough, much more than a few months, cough). There is a whole world of bloggers out there who are creating content and putting their ideas forth, so engaging with them is one of the best ways you can build up your community. I know that I have been so bad recently with commenting on other blogs and I was the same when I first started out, but there was a sweet in-between time when I was forming relationships through mutual commenting with other bloggers. Now that I've grown silent I've noticed that comments on my own posts have decreased. When you start, seek out other bloggers with a similar or slightly larger audience to connect with and share your experiences. Support and new friends? Sign me up. My situation is most likely different than the vast majority of bloggers, but I bet this applies for most when starting out. There are all these posts out there about "blogging income" and how people are making money through affiliate networks and brand partnerships and I figured that after I had built up my blog and audience I would be a part of that. Well, it turns out that when you blog about not shopping for a year and about minimalist gifts, brands don't see a lot of dollar signs when they look at you haha. While I could write posts and fill them up with affiliate links, I would be promoting a consumerist lifestyle and mindset that I don't support. What you need to know when you start is that money can, and does come, but you have to decide what you are willing to do to earn it. If you're a fashion blogger and love a brand that reaches out to you and you get a lot of value out of it, promote away! Otherwise it is best to examine your expectations and make sure you are starting out blogging for the right reasons (now I sound like I'm on The Bachelor...speaking of that, check out what happened when my blogger friend Austen and I auditioned for the show). At the same time that you shouldn't expect money to come easily. I would also caution you against working for free. I can't even tell you how many times companies email me saying they love my blog and asking if I will write a post that promotes their product. With no compensation. Ummm I think I'll pass, thank you. Once you work for free you devalue yourself and your blog and it simply isn't worth it. I didn't imagine that blogging would become such a central part of who I am. You will find yourself constantly thinking about how you could improve your work, or what you could write about next, or how you can expand your reach. You know you have found a fulfilling hobby when you simply can't stop thinking about it. There you have it! 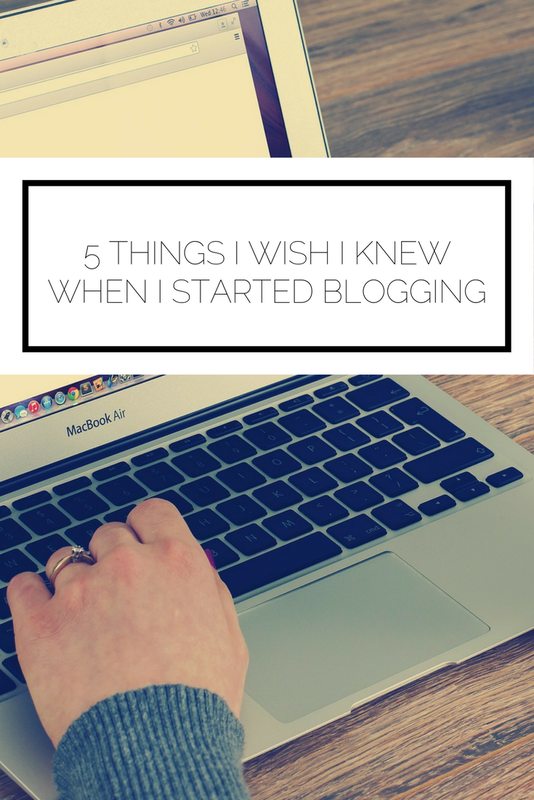 5 things I wish I had know when I started blogging. Take a look at all of my blogging related posts here and the ideas about blogging that I save over on Pinterest! Do you relate to these? 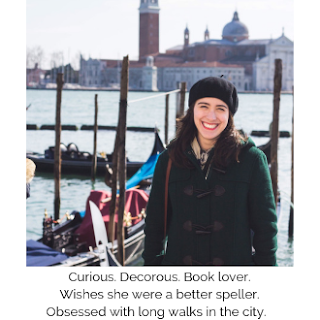 What do you wish you had known?